Meanwhile the work of disseminating the knowledge of Khshnoom was going ahead full steam. 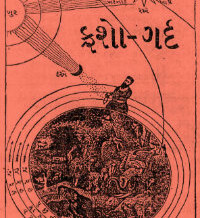 Before the seminal article of Ustad Saheb on the meaning of Frashogard in volume 5, issue 1 of Frashogard magazine, the previous issue carried an even more important article by Ustad Saheb on the role of Sarosh Yazad in the progress of man and this earth. This article explained for the first time the intricate details of the various functions carried out by the Yazata Sarosh which help man in his quest to come closer to Ahura Mazda. Ustad Saheb explained the need and importance of every Parsi to be in constant contact – paiwand – with Sarosh Yazad. For this purpose, Ustad Saheb enumerated the various ways in which a Parsi could always maintain this connection, the most important being the performance of the Sarosh ni Khshnuman ni Kusti. This ancient ritual, which had been forgotten over the years of stay in India was once again revived by Ustad Saheb. the Master explained the critical role of Sarosh in the moments and days after the death of a Parsi, and why it was imperative that a Parsi soul, after the physical death, should immediately come under the Panaah – protection of Sarosh Yazad and also the extremely pitiable condition of souls which do not get this shelter. This article was later reprinted as a booklet and over 5000 copies were distributed free within the community. Reprints of this small booklet are still available today. In volume 5, issue 2 of the Frashogard magazine, Ustad Saheb started a series of articles on the state of the Ruvan of a Parsi after death and the importance of the first four days’ ceremonies. This carried forward the theme of Sarosh Yazad from the above mentioned article and gave very deep explanation on the meaning of the various ceremonies done immediately after death. The profound spiritual meaning of Sagdid – the gazing of the dog on the dead body; the drawing of Manthra-powered circuits during the Sachkar ceremony; why the priests stop in between the Geh Sarna ceremony and turn away their face; the role of the Nasseh-salaars; the real meaning behind the distribution of the flowers and rose water after the Uthamna ceremony; and many other details were explained for the very first time to the Parsi community which had till then merely done these ceremonies as a long standing tradition, without really understanding the deep spiritual import of these rituals. Readers of the Frashogard blog have of course read some of this in the series ‘How to attend a Paidust’. This series of articles was also reprinted as a booklet and fresh reprints of this invaluable article are available even today. As these articles made their way into the Parsi community and as more and more Parsis began getting acquainted with the knowledge of Khshnoom and the presence of Ustad Saheb, both the Frashogard magazine as well as the Parsi Vegetarian and Temperance Society began increasing their members. Donations from well wishers and patrons to freely distribute these issues began pouring in. Lists of people who contributed to this noble venture were published in the magazine, and to my surprise and some pride I find the name of my own great-grandfather, Merwanji N. Hathiram, who resided in Ujjain at that time, in this list, and subsequent lists over the years. The articles on Sarosh Yazad and the first four days ceremonies aroused great interest amongst community members. The few priests, led by Ervad Phiroze Masani and Ervad Sorab Panthaki who attended the Master’s lectures regularly now understood the deep meaning of their daily rituals and the horrendous effects caused by any short-cutting or other mischief. The Behdins too began to understand the procedure and methodology of the normal daily rituals like Afringan, Farokshi and Stum and could thereby make out if any procedural mistakes were being made. Moreover, the members of the Society realized the importance of the after-death ceremonies and the necessity to have them performed not just for one year but for years together. This gave rise to an anxiety whether their relatives would have the same performed after they had passed away in the manner in which they wished to have the same done. All this gave rise to a demand that the Society itself should formulate some scheme whereby ceremonies for the departed could be done under the watch and supervision of the senior members of the Society and by employing Mobeds who understood the rationale of the ceremonies or those who were sympathetic towards the teachings of Khshnoom. After great deliberation and planning, the Parsi Vegetarian and Temperance Society finally formalized a scheme to help its members even after their death – a first for any Society which normally has life members – but here the PVTS was providing membership both in life and even beyond that! The Anusheh Ruvan Prayer Scheme was introduced in March 1915. Under the scheme, any member of the Society could become a part of the Anusheh Ruvan Prayer Scheme by paying, at one go, the substantial sum of Rs. 101. (My grandfather, who was alive and working around that time as a boiler inspector in a spinning mill got the princely salary of Rs. 20 per month.) This amount was invested in safe securities and interest bearing bonds by the Society. On the death of the member, a whole range of prayers would be performed for an unlimited number of years, including complete prayers as well as a Yazashne ceremony on the annual Baj day and prayers every month. This scheme was very attractive to the members of the Society who were deeply influenced by Ustad Saheb’s teachings and soon over 500 members had enrolled for the scheme, many paying over and above the Rs. 101 in order to build up a sizeable corpus to ensure the Scheme’s longevity and success. Dear readers, it may astonish you to know that the Society still has the prayers said for these members up to this day! Truly they were fortunate Ruvans whose names were enrolled for this scheme! At the forefront of the Society was Ervad Phiroze Masani, assisted by his brother Dinshaw Masani and Ervad Sorab Panthaki. These eager students slowly but surely extracted some of the vast knowledge which Ustad Saheb had and put it in writing in the Frashogard magazine. Among the great controversies which were on at that time, the question of the Zoroastrian calendar – or rather its accuracy was a hotly debated topic. Readers know that the calendar is a method of tracking time. Our ancient forefathers were aware that the earth rotates around the sun over a period of 365 and Â¼ days. While getting the 365 days was not a major problem, accounting for the Â¼ day was a major issue. My Parsi readers are aware (I hope!) that the Zoroastrian calendar consists of 12 months of 30 days, each named after a particular Zoroastrian Divine Being, classified variously as Amesha Spenta, Yazata, Dae, Mino or Farrokh. (For example, Bahman Ameshaspand; Behram Yazad; Dae-pa-Adar; Mino Aneran and Farrokh Fravardin.) At the end of the twelfth month are added the 5 Gatha days, thus giving us a calendar of 365 days. The Â¼ day problem was solved by adding one whole month every 120 years ( Â¼ day x 120 years gives 30 days, or one month). This was known as intercalation, or Kabisah. However, due to the hardships of time as well as lack of knowledge, after coming to India, the Kabisah was not done, and has since not been done ever. Hence, the current calendar (called Shahenshahi) suffers from the inadequacy of the addition of one month every 120 days. 1.Can the Sarosh ni Khshnuman ni kusti be performed by a person whose Navjote has been done the “normal” way, i.e. without the Khshnuman of Sarosh ? 2. Is the Parsi Vegetarian and Temperance Society still enrolling names from present humdins who wish to become members for their Anushe Ruvan scheme ? Are there any other similar schemes for Zindeh Ruvan ceremonies ? 2. The scheme enrollment was stopped many years ago. There is no scheme at present. Can you please write in your future blog how to perform ‘Sarosh ni khshnuman ni kusti’. I too concur with Adil Maloo’s request. Please Ervad Saheb do let us know how to perform Sarosh Ni Khshnuman Ni Kasti.